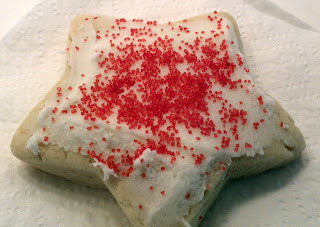 Cooking With My Food Storage: Can I Make Sugar Cookies and Buttercream Frosting From Butter Powder? Can I Make Sugar Cookies and Buttercream Frosting From Butter Powder? 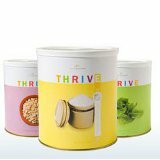 Powdered Butter is one of the THRIVE products that I get the most questions about. Both consultants and customers and interested in it but sometimes have problems. I think that powdered butter is a good product. 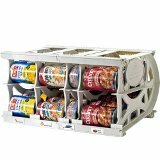 It is one that I personally store in my food storage and I think that it can be a great product for most everyone who is building their food storage. Sum Up: Buying powdered butter is significantly cheaper than buying fresh butter. What do I need to know about Powdered Butter? Butter Powder Shelf Life: 5 years sealed in the can, once it is open you have 9 months to use it. Once open butter powder does NOT need to be refrigerated. To use Butter Powder to make spreadable butter for your toast: For 1 stick of butter (½ cup) : Mix ½ cup powdered butter with 2 Tablespoons water. Stir well. Try adding a pinch of salt or sugar to enhance the flavor. When baking: It takes longer for butter powder to “cream” (think about when you are making cookies and you cream the butter and sugar together) Don’t give up it will cream, just keep mixing. When using butter powder to bake cookies: I find that it is easier to get my cookies (or other baked goods) to have the correct texture if I add 1 Tablespoon vegetable oil to the dough. It is not necessary but I prefer it that way. If the recipe calls for butter to be “cut in” as it does in many biscuit recipes. Just stir the butter powder into the dry ingredients with a whisk then add the water to rehydrate with the wet ingredients. 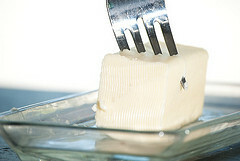 Rehydrate butter powder by mixing butter powder and water together until it is creamy. Cream butter and sugar. This will take longer than usual. Keep creaming until the sugar and butter are well mixed and creamy, almost fluffy. Add eggs, milk, and vanilla, mix well. Add salt, soda, baking powder, and nutmeg, mixing well. Add flour to make a soft dough. Spray work surface with cooking spray. Roll out and cut into shapes. Bake on a cookies sheet lined with parchment. Bake at 350° for 8 to 10 min. Do not over bake. Remove promptly from oven and cool. 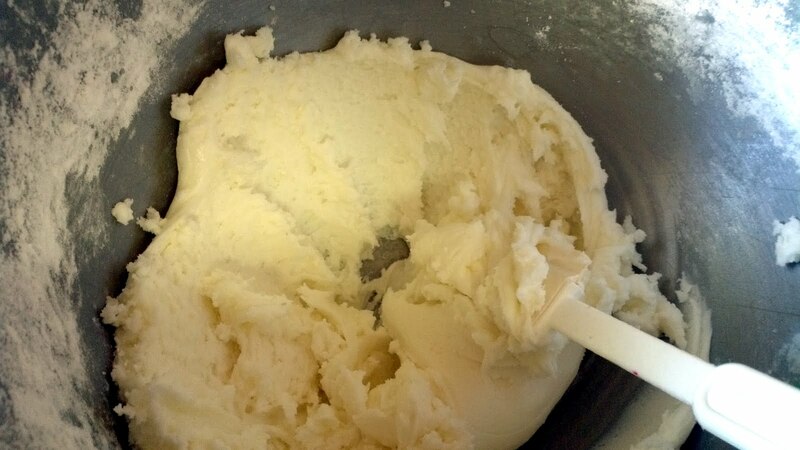 Beat butter, water and shortening with hand mixer until creamy. Gradually add powdered sugar. Beat until smooth. Add corn syrup and milk. Beat until smooth.